There are many spring shoe trends, including the floss heel craze of 2019. According to Daniel D. Michaels of the Reconstructive Foot & Ankle Institute, LLC, there's actually quite a bit to not love. He says that spring's biggest shoe trend-floss heels- is, in fact, bad for your feet. "Even though floss heels show off your feet for the world to admire, they don't provide the best support. 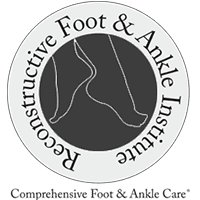 There is a general lack of support around the foot and ankle, which can easily lead to twisting of the ankle while walking. The lack of support can also lead to overuse injuries like tendonitis," says Dr. Michaels.